South African hunting safari prices and packages by Mkulu African Hunting Safaris. We also offer extremely competitive African hunting safari prices in Zimbabwe. Our Hunting in Africa prices are now confirmed to be the same for the fourth year in a row. We share our growing success with you due to your loyal support over the last few years by keeping our African hunting safari prices the same. How many other South African hunting outfitters offer the same hunting price freeze? The best affordable South African hunting safari prices for what you get! We are in the medium-range pricing for hunting in Africa and same for hunting the African Big 5. The cost of an African hunting safari is less than you would think. Our African bow hunting packages cost is such that you can afford your dream hunt. Think about it. Remember to ask us about our African safari hunting special offers at lowered prices, end-of-season special hunting deals and other cheap African safari hunts. Once we are committed to a hunt, our South African Hunting Safari prices will remain the same. These are the African big game hunting prices of the African plains game species that you can hunt with us. Our many African plains game hunting packages offer value for money. The South African hunting safari prices you see will only be adjusted down if we come across special offers and discounted hunts. Unfortunately we have had to increase some of our South African hunting safari prices for 2019. However, the price we agreed upon will stand when you book a hunt – unless the prices are adjusted down. Our South African hunting safari prices 2019 became available during November 2018. Please be advised to copy our hunting safari prices for 2019 as the only change to these prices will be downward if we can afford to do so. We are aware that some of our competitors change their price lists during the peak of the booking season to lure potential hunters and then charge you more at a later stage. Once we contracted a price with you, it will remain the same. Below is a list of what animals can be hunted in Africa. All animals on the trophy hunting list are available for legal hunting only. These are animals that we happen to come across while hunting (baboon and jackal) and are usually not charged for. The only two instances that we charge a fee for these animals would be when a hunter specifically requests to hunt one or both of these animals as a trophy, and secondly, if a landowner has a price tag on them. If circumstances allow (when not stalking a kudu!) and we do happen to come across one of them and there is no charge involved, you may harvest that animal at no additional fee. As a primate baboons are subject to CITES import- and export regulations. You may also find it interesting to read more on the recommended best calibers to hunt with in Africa. Hunting with the big game hunting South Africa safari hunting outfitters that you can trust. We have 21 years big game hunting in Africa experience! 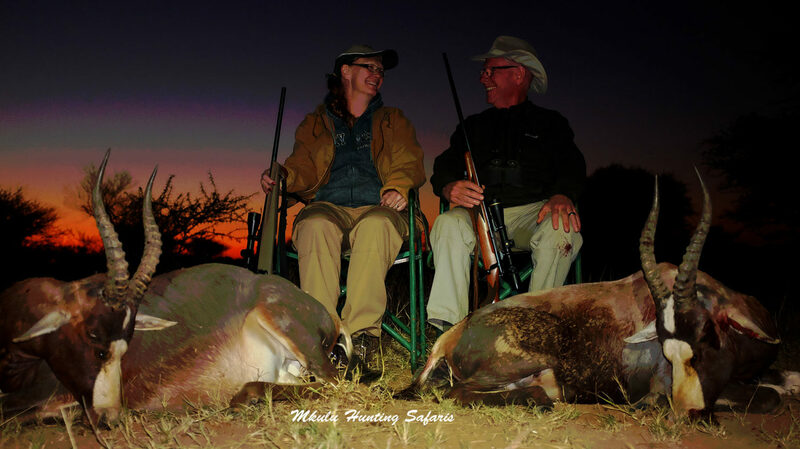 South African hunting packages in Africa hosted by Mkulu African Hunting Safaris. Big game hunting trips to Africa are available to everyone. 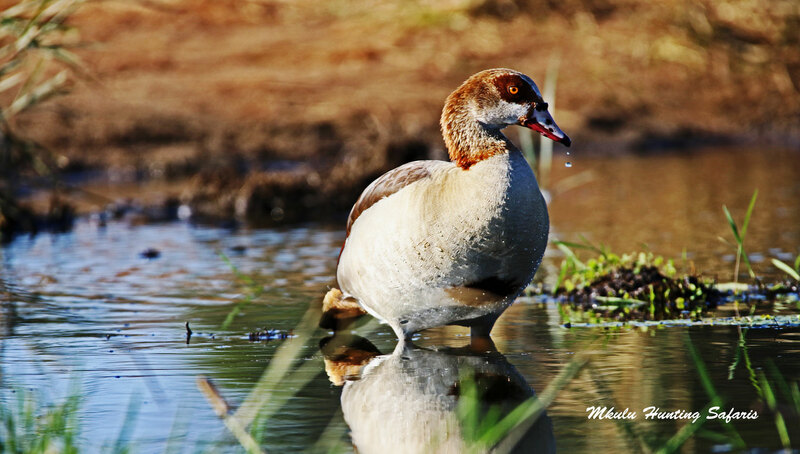 Your South African hunting safaris start here! Think about it.